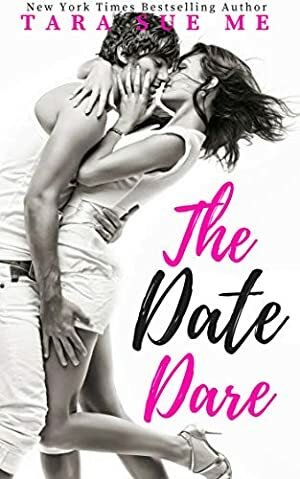 Elliott isn't prepared for the onslaught of emotions hitting him as Darcy seemingly finds everything she ever wanted with the man he set her up with. He should be happy for her. He should leave her alone. ?"... absolutely one of my favorite reads this year ."
? "With a pinch of turmoil and a heaping handful of steamy chemistry, this was a romance I could savor!" "I loved rooting for Elliot- he literally made me swoon." "The Collar is the novel that 50 Shades wistfully dreams of being (when it's feeling especially optimistic.)" "Wonderfully done, full of emotion and intensity... different from so many others out there." "A very powerful book, written with grace and style... a love story that will leave you longing for more." Log In to track Tara Sue Me on eReaderIQ. to be notified each time the price drops on any book by Tara Sue Me. to stop tracking Tara Sue Me. We started tracking this book on September 3, 2018. The price of this book has changed 11 times in the past 231 days. The current price of this book is $3.99 last checked 20 hours ago. The highest price to date was $3.99 last reached on February 19, 2019. We last verified the price of this book about 20 hours ago. At that time, the price was $3.99. This price is subject to change. The price displayed on the Amazon.com website at the time of purchase is the price you will pay for this book. Please confirm the price before making any purchases.